Luxurious Italian Tours, Custom Made For YOU! Have you been looking into Italy tours to get away from your busy life but can’t even seem to find the time to plan your vacation? Are you trying to stick within a budget yet want to get a view of what life is like overseas? Do you want to plan a vacation that allows you to explore those things that matter most to you? Here at Bellarome, we understand how busy life can be and we also realize that you want a vacation suited to your needs. This is why we work to plan your trip to Italy and design a custom itinerary just for you. Discover idyllic vineyards, stunning mountain scenes, coastal hideaways and iconic cities on one of our packaged tours, which can be booked online with just a deposit. Let one of our expert travel advisers create a personalized dream vacation in Italy for you so that you can relax knowing your trip is in safe hands. Discover the secrets of Italy's iconic attractions with one of our professional guides on a VIP private tour or exclusive day trip. 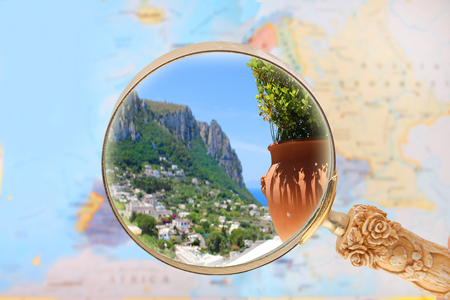 Here at Bellarome, we work to plan every aspect of your Italy vacation and take away the stress at your end. Whether you want to see the popular highlights or you are interested in exploring a specific part of the local Italian culture, we are able to offer you a great starting point. From there, we just need some input from you and then our planning specialists will handcraft a unique itinerary that you will love. One of the unique features we offer is the ability to choose a multi-destination trip to Italy, in which our planners will actually set up travel and accommodation across a variety of locations in Italy and beyond. This way, you can see more of what matters most to you. Italian vacations have never been more enjoyable than when you are able to explore all of the sites in one getaway. If you decide you want something a bit more unique, you can also request a more custom escape. Thanks to our ability to work directly with flight providers and hotels, and our knowledge of the country, we can take what you enjoy and design something more specialized. By working in this way, we are also able to deliver some of the most competitive prices in the market, often 20-30% less than our competitors. One of the most beautiful cities in world, where you can travel back in time to the "Jewel of the Renaissance". With one of our custom Italian tours, you are able to enjoy an Italy vacation centered around the things that really matter most to you. Perhaps you want to skip over the art attractions and just focus on the culinary scene. Or maybe you want to check out all of the historical landmarks to learn more about the local history. 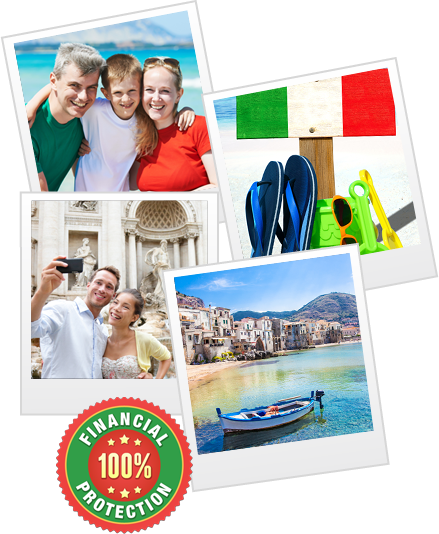 Wherever your interests lie, we are able to build an Italy vacation that will keep you covered. 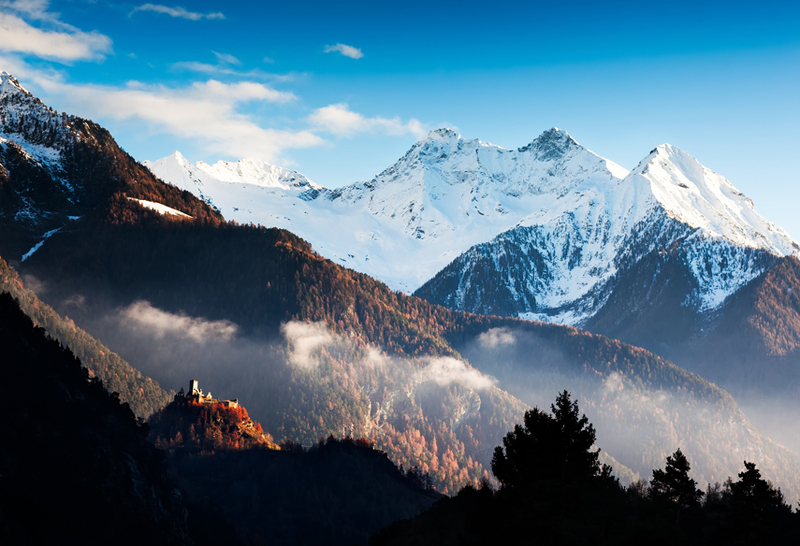 Of course, perhaps the biggest reason that so many have learned to trust us for our vacation planning is the fact that we work directly with Italian locals to help plan the best vacation. Having this local expertise allows us to design experiences that you won’t find anywhere else. Keep in mind, even the best-travelled individual won’t have experience commensurate to someone who grew up in the area. At Bellarome, we have you covered in whatever way you need it. Whether you select one of our pre-packaged tours or design something from the ground up with a custom Italian tour, once you start planning with us, your Italian vacations will never be the same again. I have taken way too long to thank you for your help with our holiday in Italy and Croatia. We felt so secure, knowing that someone would be there to meet us - at every airport, train terminal and hotel. (even when one flight was over an hour late). They were always on time (often early), nicely dressed and driving Mercedes. The hotels you chose were within walking distance of important places or easily accessible to transport. Everything was easier because of your planning. I know you asked for photos of the clipper ship, but I really didn't get any good ones. You just need to go and experience the joy of it yourself. Again, thank you for all that you did. It was a great vacation because of you. This travel agency rocks! Fantastic customer service - Our agent and his team tailored the perfect vacation for our family. From the hotels, to the tours, everything was meticulously taken care of, making this trip worry free. I highly recommend them. We enjoyed every stop - Rome, Pompeii, Florence, Venice, and Paris. I usually plan trips myself, but this was special. I wanted help planning our first trip to Italy to celebrate our 20th anniversary. Our travel agency was fantastic. I highly recommend them. They put together a full featured package. Then we asked for adjustments to accommodate our style and budget they did that as well. Even took care of last minute things during our trip. All accommodations were phenomenal. Italy was all we hoped and dreamed it would be and this agency was a big reason why. Thank you. Thank you Bellarome for a beautifully planned trip. Our vacation was stress free and we felt that we experienced Italy thoroughly in our 10 days there. Our agent was very attentive and responded quickly to any questions we had prior and during the trip. The hotels were wonderful. The excursions were top notch with Rome being the highlight. It was lead by a guide who has a Ph.D. in history! How unbelievable is that?! This travel agency was so easy to work with for our European honeymoon. Our agent provided top-notch service with quick responses and even last minute changes while we were on our trip. The process was very easy and user friendly. Highly recommend this company! The private tours in each city were the best part, aside from spending time with my new wife! Getting that one on one service from the tour guide to explain the history and meanings behind the ancient art and sculptures was the best thing we invested in. Also, the 4-5 star hotel accommodations made our nights much more relaxing. Bellarome put together a terrific travel package for our 10 day trip to Italy. We stayed at lovely boutique hotels and traveled by comfortable, high speed trains between Venice, Florence and Rome. Because I was traveling with my soon to be 80-year old mother, I was very concerned about having comfortable accommodations and trouble-free travel connections. I couldn't have been more pleased with the arrangements made by our travel company. At each connection we were met by a friendly, prompt, and knowledgeable guide who made sure that we made it to the next leg of our trip without worry. I would definitely recommend this company and will be happy to use their services in the future. One of the best parts of our trip were the private guided tours which were arranged by our travel company. In each city we were met by a highly educated and friendly guide who showed us the amazing historic and artistic sites of Italy. We were able to customize our tours to fit our needs and desires. I contacted four travel companies with a request to help me plan a trip to Italy for my husband's 50th birthday. Bellarome far surpassed the others in personalizing the trip to accommodating special requests, such as adding a motorcycle ride from Venice to Lake Como. It made my decision easy, because not only did they respond with the exact trip I wanted rather than the quote for the trip that most closely resembled the trip I wanted, the price of the trip was the most affordable. We ended up spending 3 nights each in Venice, the Amalfi Coast, and Rome. The highlights of which were the personally guided tours from knowledgeable professionals at each city, which I highly recommend. Our agent was excellent in initiating communication to make sure our vacation was meeting our expectations. We couldn't have dreamed of a better experience than we had visiting amazing Italy. Acclamation and commendations come to mind describing how this trip was planned and executed. Bellarome did a laudable job putting the trip together on a very tight schedule, accommodating four very different personalities, needs and desires. Attention was paid to detail from the start. Our family was treated like royalty from the moment we deplaned till the sad hour we had to get on the plane back. From the very beginning, Bellarome were first-class. After our enquiry online, they called us to discuss details. They listened to our needs and wants, and delivered an amazing itinerary that was exactly what we asked for. No detail was overlooked. They were knowledgeable and informative, and put forward many great ideas that we hadn't thought of. And when we asked, at the last minute, for changes to the finer details, our wishes were catered for without complaint. I couldn't recommend this company more! Truffle-hunting in San Miniato (outside of Florence) was definitely the highlight. We weren't sure what to expect, but it was beyond wonderful. Our truffle-hunter, was so knowledgeable and such a delight. After we searched with him, his father and their wonderful dog, Billy, we went back to his house and his sister cooked the best ever four-course lunch that included the truffles we'd just found. The lunch was delicious, the family were delightful, and I'd recommend this experience to anyone. What a wonderful day. Bellarome and our specialist specifically were fantastic for our trip to Italy. They shaped our itinerary and tours around our travel style and preferences, making it a life changing experience. I will not hesitate to use them again for our next trip to Italy! Seeing the entire country of Italy and experiencing the culture, food, and wine was amazing. This was truly the trip of a lifetime, and having everything taken care of by our agent made us feel like royalty! Every detail was considered with our input, and it all went beautifully! The drivers were prompt and courteous, the tour guides were personable, knowledgeable, and accommodating, and the hotels were all four-star. We learned so much about all the places we went, and it was a lovely blend of well-known places, and hidden gems (like the beautiful 14th century castle outside Siena)! There was adequate time to wander on our own, but also sufficient time with the guides to learn about the historical details of the area, as well as their impact on contemporary life. I can't emphasize enough how well our agent coordinated the trip and all its details, and the guides, drivers, and innkeepers spoke so highly of him! It really felt so individualized, I would always choose to have him as my planner and coordinator for travel! The trip was fantastic and this travel company exceeded our expectations. We visited Rome, Amalfi, Positano, Capri and Sorrento, stayed in 3 different Hotels in three different cities, and traveled between destinations by car, train, and ferry. And all of these arrangements were made by our agent flawlessly. This was my first (but not last) experience using a concierge travel agent and it exceeded my expectations in every way. I convinced my two grown children to take two weeks and see a bit of Europe for the first time. I had taken them to Australia (using frequent flier miles) when they were younger. As you can imagine I am a seasoned traveler and will admit I was a bit jaded. We found these agents on Zicasso early this summer and he and his colleagues in Europe provided me an extraordinary experience. We booked our Italian Honeymoon with this agent and his travel company. Our trip included four cities, private tours, cooking classes and transfers over a period of 12 days. It was truly a wonderful experience. Our agent went out of his way to ensure we were taken care of and satisfied throughout our trip. We couldn't have asked for more. We would not hesitate to recommend or book another tour with this agent. Five stars all the way. We recently enjoyed a wonderful excursion to Italy organized by this travel agent. The entire trip from start to finish was exactly what we wanted. Our Italy travel planner was friendly, professional and accommodating. He planned a customized trip to Italy that encompassed everything we wanted to do within a prescribed budget. Our agent at this Italy travel company did a wonderful job putting together an itinerary that exceeded our expectations! He was extremely responsive before our trip; if I had questions about anything, or wanted to modify something, he did it without hesitation, and in a timely manner. He also made himself available via phone and email which made me feel more comfortable with the company. While traveling, we were able to experience a variety of things in each city, which made each day special. We never had to worry about transportation between cities/hotels, as it was all planned out for us. I told our agent that it was our Honeymoon so he went out of his way to make sure each hotel had a cold bottle of champagne or bottle of wine waiting for us in our room when we arrived. I would highly recommend this company to anyone looking to travel in Italy; we will certainly use them again in the future! I can't say enough good things about our agent. He was responsive to all our needs - almost immediately. The trip was magical. The Roman experience with our guide was the most memorable, but it's hard to choose as Florence was amazing as was the side trip to Cinque Terre. Our trip to Rome, Florence and Venice was really incredible largely because of our agent's efforts at this Italy travel company. He organized everything and were very pleased with the accommodations and private tours he selected for us. Our agent also organized transfers to from each airport and all transfers were incredible arriving early and being very courteous and professional. Early in our engagement I explained to our agent that my vision was poor; he made sure each driver had a large bold print sign and made themselves quite visible. The train trips from Rome to Florence then to Venice were all first class. The private tours our agent arranged of the Vatican and the Colosseum in Rome were great the guide was incredible. Also in Venice we had a private tour which was very professional. Once I got involved in talking to this agent, I saw my dream trip to Italy becoming more and more of a reality. Not only was my agent very personable and made me feel comfortable, he was quick throughout the whole process to answer emails, make and keep dates for phone calls and also help with some unexpected occurrences right before the trip and during. I felt like he become a real friend during all of this. I couldn't have asked for a better experience all around for our travels to Rome, Florence and Venice. So much so, I plan on using this agent and this travel company again in my near future for another trip!! Our experience with this Italy travel agency was incredible! From the beginning, they were easy to work with and helped us make the greatest vacation. Every hotel we stayed at had great service, great rooms, and were all four star hotels. Our travel agency also provided all of our transportation to every city we stayed at in Italy. From the airport to our hotels, to our tours, and the train station to every city. Every driver that came to pick us up from the hotel and the train station were all very pleasant people to talk to and made you feel welcomed. Our agency did a Fantastic job with picking out all of our tour guides. We Loved ALL of our tour guides!! Each tour guide brought their own opinion and their personality to the tour, and we LOVED the fact that is was private! Each tour guide told us neat little things about each city we were staying at. Our travel agent was fantastic! We actually got to meet him during our food tour, which we strongly recommend everyone should do when visiting Rome! The food tour was the perfect way to end our visit in Rome. From the wine tasting to the fantastic local restaurant food, was to die for!